There are games and then there are the games we wished existed on the ZX81. For me, Lode Runner falls firmly into the second category. Lode Runner was and still is ubiquitous, making an appearance on just about every 8 bit system to crawl out the 80s micro computer swamp. From its inception on the Apple ][, ports have made their way to the BBC, the NES, the SEGA SC3000, the Atari XL/XE, the ZX Spectrum and hell it even even made it onto the Vic 20. 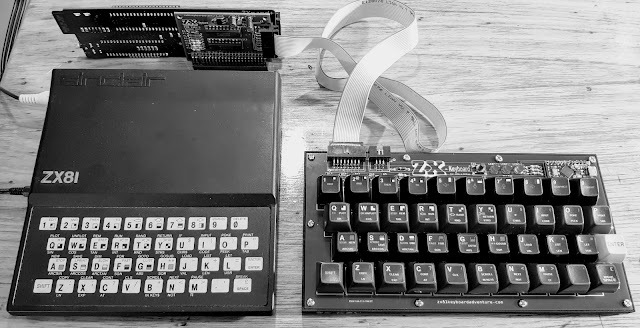 But yet the poor old ZX81 missed out, this is of course due to the rather obvious lack of a suitable graphical display capacity. 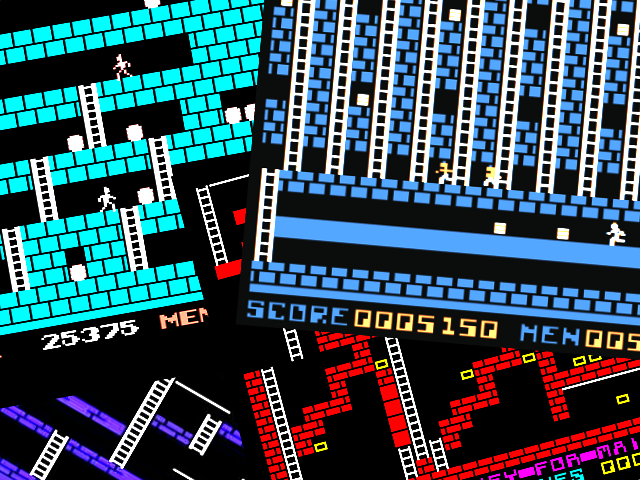 But I say enough excuse, It's time to write a great historical wrong and bring once and for all a (probably rather cut down) version of Lode Runner to the ZX81. So there it is, a statement of intent, (mainly to ensure that I stick with what I'm setting out to achieve) that over the ensuing months I'll slowly document the process of either failing miserably or succeeding gloriously in the (re-)creation of passable version of Lode Runner on the ZX81.